Herrick, Feinstein LLP is proud to have represented NJ-based real estate investment company the Orbach Group's Lighthouse Opportunity Fund in a $100 million financing deal as part of the fund's $214 million acquisition of a 30-building apartment portfolio on the Upper West Side of Manhattan. A compilation of 22 Signature Bank mortgage loans, totaling $100 million, facilitated the purchase of the 864-unit portfolio, which adds significantly to the Orbach Group's continually expanding property holdings in the neighborhood. 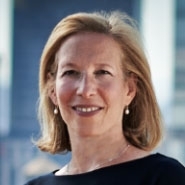 The Herrick financing team was led by real estate partner Belinda G. Schwartz. Herrick, Feinstein's Real Estate Department is widely regarded as one of the leading real estate practices in the New York region. Named a "real estate powerhouse" by Crain's New York Business, the more than 50-member group of attorneys and urban planners represents public and private companies on a full spectrum of issues, including financing and acquisition, land use and zoning, development and construction, hospitality, distressed debt, leasing, litigation and government relations.